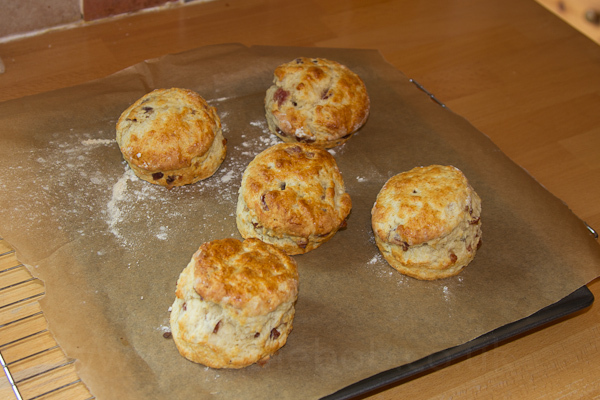 I’ve found that the key to good scones is more to do with how you make them rather than the ingredients. The recipe below will make about 5 good sized scones. I found a lot of recipes said they would make 8 or even 10 scones but when I came to roll them out I never got anywhere near those quantities unless I made them really thin. If you want to make more, simply double the quantities. In a large mixing bowl, sift the flour and the baking powder. Cut the glace cherries in half using scissors and put them into a sieve. Rinse the cherries under warm water and then turn them out onto some kitchen roll and pat dry. Get a glass, and put aside 2tbsp of the egg/milk mixture for use later. Next, add the sugar to the mixture making sure there are no big lumps of sugar. Lightly flour the worktop (or wherever you are going to roll out the scones). 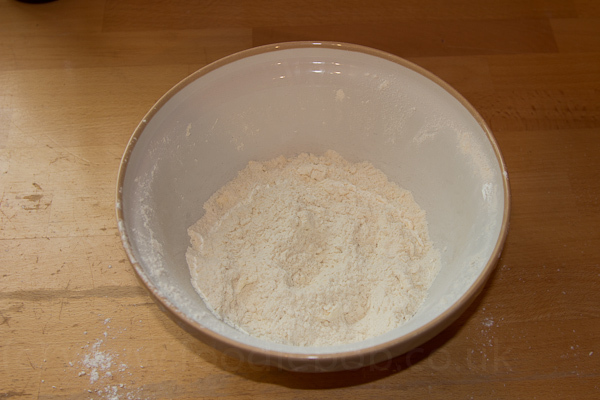 You should also lightly flour your hands as the mixture is fairly sticky! 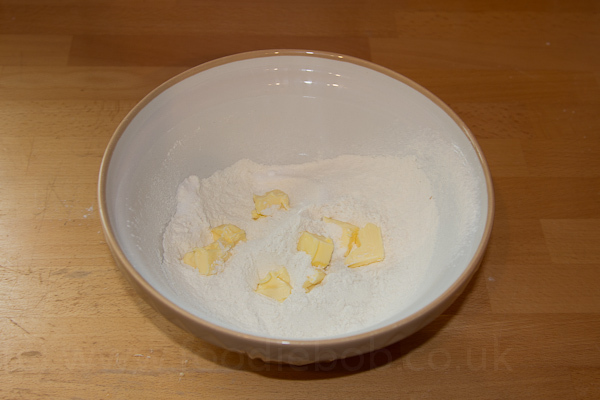 Take the mixture from the bowl, lightly press it into a ball using your hands and place it on the floured surface. Press the top down with your hands to flatten it slightly and then shape the sides lightly to make a round shape. 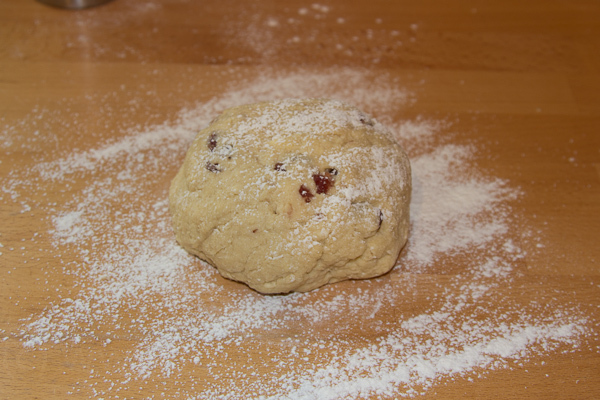 Keep LIGHTLY rolling until the dough is about 2.5cm high. 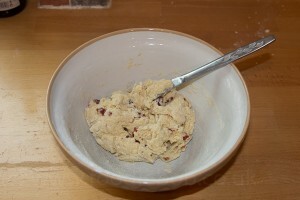 Lift the dough slightly off the worktop and place back down, this relaxes the dough into it’s natural shape. The dough is now ready for cutting out. This is probably the most important part of the recipe. Get a baking tray and place a piece of baking parchment on top. Hold the cutter on top of the dough and then quickly press down hard. DO NOT TWIST! 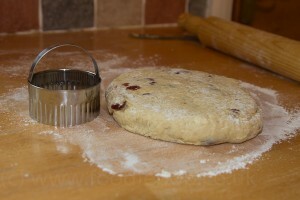 Pull the cutter up and place the scone onto the baking tray. Repeat this for each scone, remembering to dip the cutter in flour in-between each scone. 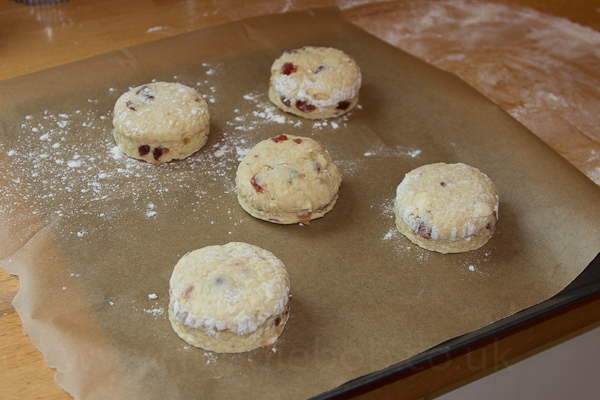 Once you have cut out as many scones as you can, gently combine the left over dough, roll it out and cut out again. For the last bits of dough I usually just roll it into a ball in my hands a squash it down a bit. While the oven is heating up, leave the scones on the side to rest for about 10 minutes. This allows the dough to relax. Once removed from the oven, put the scones on a cooling rack to cool. In a case of perfect timing, while I was making these scones I read on Twitter that this month’s Tea Time Treat challenge by LavenderandLovage and What Kate Baked was scones! So after you have made these scones, why not pop along and have a look at some more lovely scone recipes. This entry was posted on Monday, March 19th, 2012 at 4:11 pmand is filed under . You can follow any responses to this entry through the RSS 2.0 feed. You can skip to the end and leave a response. Pinging is currently not allowed. 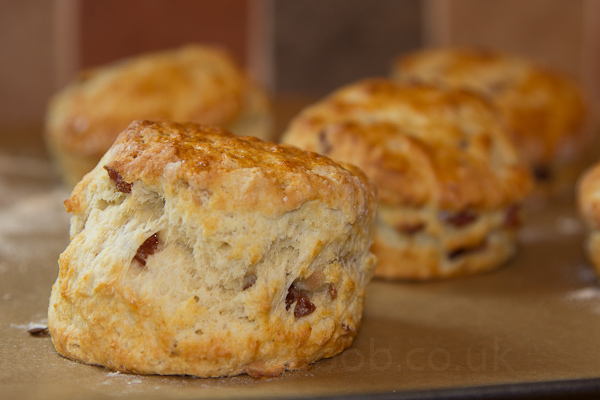 Those look AMAZING and they rose so high too….I am a BIG lover of cherry scones, and I must try this recipe, as it looks uncomplicated and the results speak for themselves! Thanks for entering Tea Time Treats Bob! These look like incredibly great scones! I have never tried cherry, but really want to now! Thanks James. I’ve just had a look at your blog and I’m looking forward to more instalments of your River Cottage Bread Journey. I’m always looking for the perfect scone too. I have always enjoyed cherry scones, I must try your recipe. I made these tonight using fresh cherries and they turned out light, buttery and delicious. Great post and great recipe. Thanks Nikki! It’s always great to hear from people who try my recipes! I like your idea about using fresh cherries, may have to try that next time. 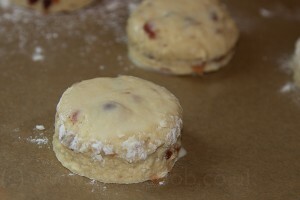 A very clear recipe, easy to follow, I’ve made the cherry scones three times now. 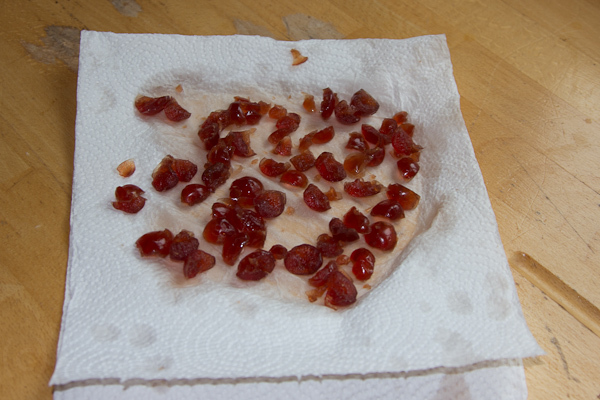 I have tweaked things a little – added a pinch of salt and upped the cherries by 25g. I’ll try your suggestion of chocolate chips next time. Would like more suggestions for variations on your basic scones’ recipe.